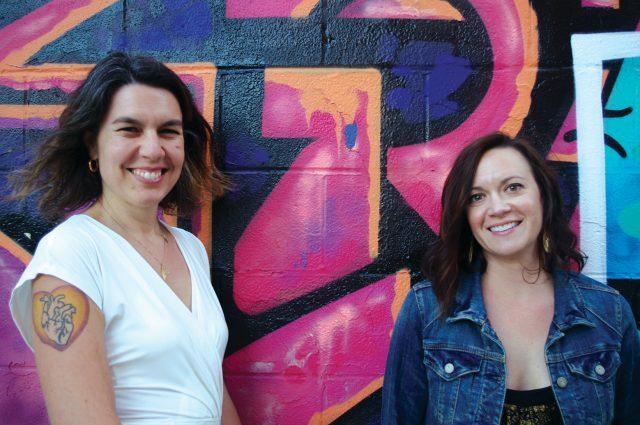 When co-founders Katie Brunelle and Rachel Weinstein launched The Adulting School last year, they didn’t imagine how much media attention they’d receive, nor did they foresee their potential to launch a million-dollar business. The idea for The Adulting School—a community that offers practical knowledge on things like cooking healthy meals and creating a budget to help adults lead successful lives—formed when Weinstein, a psychotherapist who runs her own private practice in Portland, noticed that her clients were lacking useful adult skills. Brunelle, a former public school teacher, also saw practical skills gaps in her students and in the curriculum. New York Magazine, The New York Post, Cosmopolitan and Fox News have all generated buzz around The Adulting School, as have international outlets The BBC, The Guardian and media channels in Amsterdam and Chile. The media attention, which has been both positive and negative, has helped Brunelle and Weinstein further hone their purpose and re-emphasize the need to support “adulting,” (a term used to describe doing the things adults must do, like change a tire or pay monthly bills on time) by teaching the practical and useful skills needed for successful everyday living in the 21st century. Following the “Kennedy” appearance, Brunelle and Weinstein received an email from a U.S. veteran, commending them on their work. “He said, ‘I wanted you to know that someone you don’t know thinks you’re doing a great thing.’ It was really empowering,” Brunelle says. The term “adulting” has spread like wildfire on social media (Twitter usage of the term grew 700 percent in 2016) and has also spawned stereotypes such as that millennials are lazy, self-centered, self-entitled and unsuccessful in their lives and careers. Brunelle and Weinstein hope that The Adulting School will help to debunk these stereotypes and give millennials (and the generations that bracket them), more confidence—and maybe also a better reputation. The Adulting School launched in July 2016 with a series of happy hour workshops and networking events, followed by an all-day November Summit at Portland’s One Longfellow Square, which featured six presenters focusing on different practical skills such as how to generate a side income, how to save and pay off debt and a workshop titled, “Time Management for the Chronically Over-Busy,” among others. The momentum has continued in 2017 with the launch of a January Winter Session consisting of three targeted workshops: “Personal Branding,” “Know Your Financial Type” and “How to Get What You Really Want.” The January sessions, held at Portland venues O’Maine Studios, Rhum Food & Grog and The Honey Paw, also included food and drinks and an “After the Bell” lesson, such as how to change a tire. In February, The Adulting School launched a subscriber-based online school, providing content to enrolled students in four focus areas: finances, health and wellness, relationships and community and make it/fix it. Workshops run from $5-10 a session, and a subscription school is $19.99 a month. As of January, nearly 100 students were enrolled from across the U.S. and Canada, and over 10,000 people had taken the web quiz, “What’s Your Adulting IQ?” The quiz asks questions about one’s knowledge of practical skills like budgeting, car and home maintenance/repair, culinary know-how and job interviewing/application skills. The results generate an “adulting” score for the user and provide helpful information that helps drive TAS’s site content and workshops. As it’s grown, The Adulting School has continued to focus on marketing and web design, growing it’s online and social media presence and recruiting and screening teachers to provide online content and run live workshop events. It has also continued to recruit local partners to host live workshops and secure paid sponsorships to support the subscriber-based network. ​Mercedes Grandin is a freelance writer, editor, English teacher and tutor. She lives in Brunswick with her husband Erik and their chocolate Labrador Fozzie. In her spare time she enjoys hiking, biking and exploring Maine’s midcoast by water. Next articleMarch Ditch The Couch!